It’s easy to get into debt. Flashy new car advertisements pop up during your favorite TV shows tempting you to buy a new car. You see beautiful homes on HGTV that make upgrading your home seem like the perfect thing to increase your happiness. Credit card applications arrive in the mail, tempting you to spend more because you only have to make a small monthly payment. Regardless of how you ended up in debt, you may be considering consolidating your debt. Common debt consolidation options include debt consolidation loans, home equity loans, personal loans and even zero percent balance transfer credit card promotions. Consolidating your debt can often make your finances much easier to manage. You can even save money on interest payments in many cases by obtaining a lower interest rate. Is consolidating your debt always a good idea? Consolidating your debt can sometimes be a bad financial move. Watch out for these common debt consolidation traps when you’re considering a debt consolidation loan. If you’ve managed to incur a significant amount of debt, you may be looking at a larger debt consolidation loan. Homeowners often see their equity in their home as the perfect solution for their debt consolidation needs. Many banks would be happy to give you a home equity loan or a home equity line of credit to access the money you have locked in your home. A home equity loan may not be the right solution for you. When you take out a home equity loan, you put up your home as collateral. If you default on your loan, the bank could foreclose on your home to pay off the loan. When you use a home equity loan to pay off unsecured debt, you’re essentially putting yourself in a worse position. If you default on your unsecured debt, your lender can’t take anything away from you. They can sue you to get their money back, but they can’t take your home away from you. 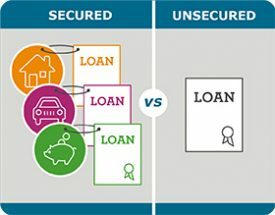 Using secured debt to pay off unsecured debt is something you should give serious thought about before you move forward. It can lower your interest rates, but if the worst case happens and you default, you could lose your collateral. Consolidating your debt allows you to free up your credit limits on your credit cards and other debt you pay off. For some people, a credit card or other loan with no balance is a huge opportunity to buy everything they couldn’t previously afford. If that sounds like you, you need to make a plan on how to make debt consolidation work without incurring additional debt. After all, if you run up a credit card balance again, you’ll be in even worse shape than when you started. You would have a debt consolidation loan payment and another credit card payment. To avoid running up a balance again, you can close out your old credit lines. Closing out credit lines may lead to a decrease in your credit score. However, your credit score would also decrease if you maxed out your credit cards again. Yes, credit scores are important, but paying off your debt is even more important. Closing your credit lines is the only way to make sure you won’t run them up again. 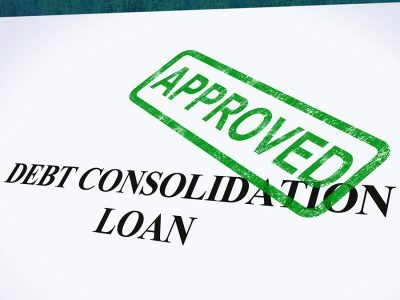 Another common debt consolidation trap is consolidating shorter term debt into a longer term debt consolidation loan. This type of debt consolidation often seems like a smart move. You can usually obtain a lower interest rate and your debt payments could drop drastically. Unfortunately, the longer term could result in you paying more total interest over the life of the loan. This is especially true when you use home equity loans or lines of credit, which are paid back over decades, to pay off other debt balances that are usually repaid over just a few years. To calculate if you’ll pay more in total interest, calculate the total of all of your remaining payments on your current debt. Then, compare that to the total cost of all payments on the proposed consolidation loan. You should also include any fees or other costs to obtain the debt consolidation loan, as you wouldn’t have to pay those if you didn’t consolidate your debt. Consolidating your debt to a lower interest rate loan is often a smart move. However, just like any other financial transaction, you need to be aware of potential pitfalls. Make sure you fully understand all of the consequences before you consolidate debt. Otherwise, you could regret your decision if things don’t go as planned.